CoolSculpting® is an innovative cosmetic procedure that eliminates stubborn fat. Instead of giving up on losing that extra five pounds or turning to more invasive weight-loss options, CoolSculpting can help give you the lean, contoured body that you have always wanted. In part one of this multi-part series, we discussed a few things that you should know about this unique procedure. In part two, we will continue to discuss some important information that you should consider if you are interested in the CoolSculpting treatment. 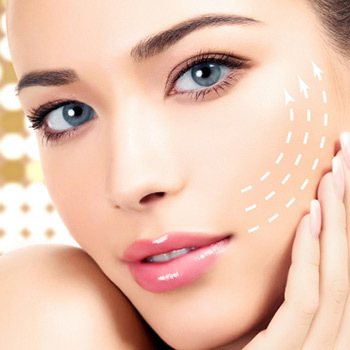 At the Rejuvenation Center, we want to provide our patients with a variety of treatments and procedures to help them achieve the appearance that they have always wanted. We also strive to provide our clients with the most comfortable and professional experience as possible. Whether you are interested in freezing away fat with our CoolSculpting procedure or you want to erase the years with Botox, we’ve got it all! Browse our website to learn more, or give us a call to request a consultation with one of our talented doctors. In the meantime, continue reading below for more information about CoolSculpting! On the day of your treatment, you will arrive at the center and the doctor will measure and mark the area that you want to have treated. Next, an applicator that is attached to the CoolSculpting device will be attached to the predetermined area. Because CoolSculpting involved freezing the fat cells under the skin, the area will feel cool during the actual procedure. After the treatment is over, the area will be massaged to break up the crystallized fat cells. The difference between losing weight and receiving the CoolSculpting treatment is that CoolSculpting freezes away the fat cells. When you lose weight, the fat cells shrink, but they do not disappear. With CoolSculpting, the cold temperatures freeze and crystalize the fat cells in the targeted area, causing them to die and be reabsorbed into the body. As a result, you will have less fat cells in the targeted area, giving your body and more sculpted appearance. Some weight-loss surgeries are performed while the patient is under an anesthetic. Because CoolSculpting is a non-invasive procedure, you will be awake the entire time. Depending on the type of treatment that you are receiving, CoolSculpting can take anywhere between 30 minutes to an hour. The thought of being awake during the procedure may seem daunting to some, but there are many patients who have found the cosmetic procedure to be comfortable. That being said, even if your scheduled procedure doesn’t take long, it’s still a good idea to come prepared with something to distract you, such as a book, laptop, or music. Before the day of your actual treatment, you will have an initial consultation where the doctor will provide you with all of the information you need to know about your treatment. With that in mind, you shouldn’t rely completely on your doctor to answer all of your questions during that one appointment. As with any procedure, it’s a good idea to do your research ahead of time. Researching the CoolSculpting procedure will not only help you come up with questions that you want to ask your doctor, but it will also help to prepare you for the actual cosmetic procedure. Those looking to lose weight often want to see immediate results, and while CoolSculpting may provide you with results that are visible soon after the treatment, it still may take a few months to see the maximum results of the CoolSculpting procedure. After the procedure, it’s common for patients to see some swelling in the treated area. Over the next month, the swelling will go down and your body will start to absorb some of the dead fat cells. Within this time period, you will notice your body looking more trim and sculpting. That being said, it can take up to three months for you to see the full results of the cosmetic procedure. Because CoolSculpting freezes and kills your fat cells, the results of these cosmetic procedures typically last longer than other weight-loss procedures. As you gain or lose weight, the fat cells in your body will get larger or smaller, but they never disappear completely. 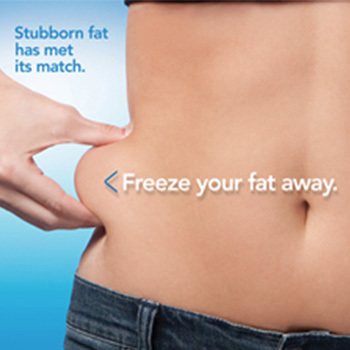 CoolSculpting helps to eliminate these fat cells, as opposed to draining the fat stored within them. As a result, if you do gain weight after the procedure, there is a good chance that it will be dispersed in other areas. Hopefully after reading this post, you have a better understanding of the CoolSculpting procedure. If you are interested in learning more or scheduling an appointment, look no further than the Rejuvenation Center in Wheeling. Our talented doctors work hard to provide you with the results that you desire, as well as a comfortable and professional environment. Browse our website to learn more about our cosmetic procedures, and contact the Rejuvenation Center to request a free consultation today! *Results vary from patient to patient. The best results are sustained with a healthy diet and exercise.